Going back several years now, the UGC has organized one weekend a year in Bordeaux to showcase members’ wines: http://ugcb.net/fr/wgc/remerciements What makes the Weekend des Grands Crus unusual is that events are open to the general public, attracting people from all over the world. Activities include vineyard tours, formal dinners in châteaux, and a golf tournament. But the highlight is the mammoth tasting held on Saturday. A château representative (usually the owner or winemaker) is there to answer questions and serve two vintages: a designated one and a second one from a recent vintage of their choosing. 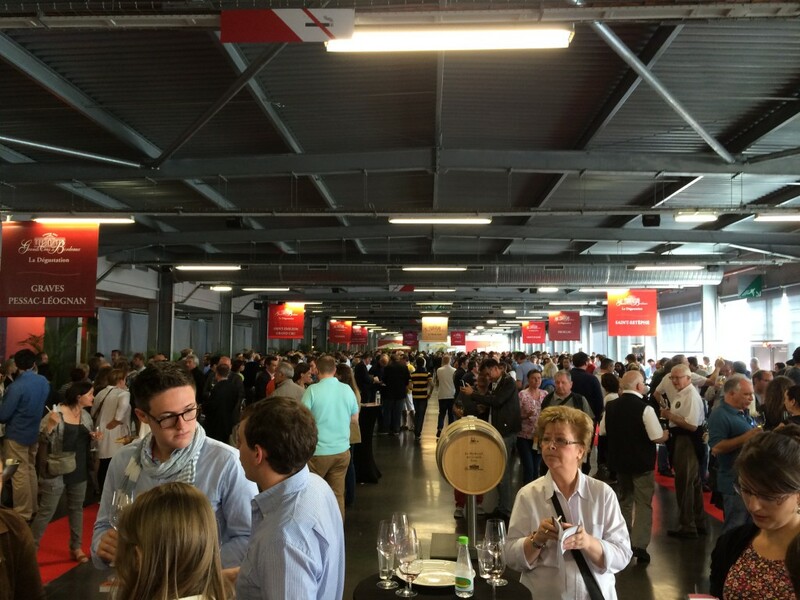 I attended the tasting at Hangar 14 in Bordeaux on Saturday May 30th 2015. The featured vintage was the 2012 and the choice was mind boggling. Having only one tongue, and therefore capable of tasting only so many wines, I decided to focus on one region in one vintage. And that was 2012 Médoc. I sampled 34 of them. Here are my notes. Please note that there is little mention of color. That is because most Bordeaux have a deep rich color. Please also note that my scores need to be understood in the context of my personal scale. I am a tough grader. For example, 14/20 is an excellent score by my standard. Also, I apologize for the lack of photos to go along with the text. 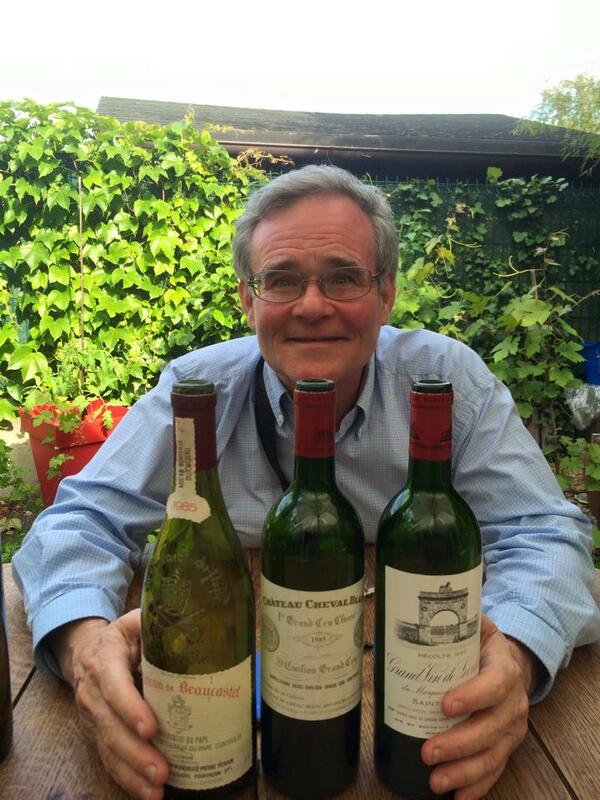 I would very much like to thank the Union des Grands Crus for inviting me to this tasting. Nose: sweet and simple with some oak. Palate: bit dilute, but balanced. Lacks breadth. Elegant and frivolous. Short aftertaste. Nose: Closed at present, but revealing promising ripe berry fruit and graphite nuances. Palate: Turns out to be rounder than the very first impression would suggest. Sweet, together. Refined tannin. Will be enjoyable young. Nose: strong oakiness, but stops short of being overbearing and there is fruit to back this up. Palate: oak plays a greater, and perhaps too great a role here and contributes to a dry finish. It remains to be seen if this will integrate over time. Nose: pure, unadulterated fruit with a subtle floral component. “Fresh ash” aroma. Palate: narrow taste profile. Refreshing, with slightly rustic tannin. Authentic Médoc, but lacking in substance. Palate: well-made with oak ageing kept under control. Quite juicy and thirst quenching, but shows some character on the finish. Nose: brambly, black fruit jelly. Understated. Palate: More mouthfilling than all previous wines, but falls down somewhat on the middle palate. Big, slightly meaty wine. Fine Cabernet Sauvignon. A little austere, but the real thing. Nose: good balance between fruit and oak. Forthcoming classic bouquet, but could show more personality and depth. Palate: round, fluid, tangy, and will be enjoyable relatively young. Good wine in a somewhat commercial style. Palate: surprisingly fine with dense candied black cherry flavours. Good long aftertaste. Great discovery. One of the biggest surprises of the tasting. Nose: ripe candied fruit, but not very complex. Palate: nice mouth feel. Generous, spherical and uncomplicated. Decent tannic grip. A tad dry. Nose: wood aromas (oak, cedar). Fruit is hibernating and the bouquet lacks freshness. Not expressive at this stage. Palate: not a soft, feminine Margaux, but the breeding does come through on the aftertaste, which reflects some of the appellation’s magic. However, prior to this, the wine seems facile and a little dilute. Problem on the sniff here. Gread deal of brett. Palate: rich, round and satisfying with a great follow-through into a medium-long aftertaste. Nice long, assertive mineral finish. Brane is on a roll! Nose: disappointingly lacking in expressiveness. Some fruit even so, which gives way to floral aromas. Some greenness and caraway nuances though. Fleeting. Palate: round and upfront with good tannin. Simple, but attractive. Bit dry on the finish. Solid Médoc with maybe too much oak showing on the finish. Nose: elegant violet nuances along with dark fruit notes, mint, and chocolate. Palate: big, mouthfilling, thirst quenching, well made, and refreshing. Marked acidity gives lift to the wine. Very good. Palate: a little thin, but tangy, with a long aftertaste. Serious and technologically irreproachable, but does not seem like a “vin de terroir”. Too much oak influence. Nose: slightly artificial, brambly black fruit aromas waiting to come out. Ash and caramel overtones. Palate: good acidity accompanies rich, classy fruit with a certain sappiness, but not quite enough. I came back to this wine at the end of the tasting and found it softer, with some graphite on the nose. Palate: interesting progression. Starts out soft and caressing, the shows a more acidic side with fine-textured tannin. Balanced and fairly classy. Nose: soft. not much there, but what there is is elegant (blackberry and a touch of talc). Palate: fresh, fine acidity and tanginess. Medium-long velvety aftertaste. Good effort, should age harmoniously. Puts this wine back in the limelight for me. Palate: unbalanced, once again herbaceous, which follows through all through to the finish. This may diminish over time, but will always be there. Nose: disappointing and not very expressive. Some dark fruit and graphite in the background. Nose: Pure, understated, and intriguing. Mysterious, beguiling bouquet. Palate: Lovely velvety texture and good richness to back it up. A class act. Not a great deal of volume, but decent, if not broad-based, length. Fine wine. Not big, but refined. Palate: open commercial style with an interesting juxtaposition of richness and acidity. Best enjoyed on the young side. Palate: rich and round going on to show marked acidity and fine character. Not quite the volume one would have hoped for, but extremely well-done. Nose: Toasty oak predominates, in fact overwhelms the fruit, in a way that will not be evened out by time. Palate: in the château’s open, round, and sensual style, but the estate needs to tone down the barrel ageing. Nose: subtle strawberry and cherry jam overtones. Lovely and enticing. Palate: Very round and surprisingly approachable. A soft Léoville with a cool (slightly mentholated) aftertaste. Very attractive with the class to match. Soft grip on the aftertaste. Palate: angular, awkward, not very attractive. Possibly a bad bottle or a bad time to taste. Nose: classic Pauillac with graphite and good fruit and restrained oak to back it up. Fine candied cherry elements. Very nice bouquet. Palate: good, grippy, and solid, with medium-long aftertaste. Maybe a touch dry, but Lynch Moussas has gone up in my estimation. Nice surprise. Nose: sweet cranberry and some lead. Open and fruity. Palate: mouthfilling fresh and fruity. Chewy mouth feel. Tannin melts in the mouth and then goes into a tangy finish with a reasonable amount of oak. Polished. Successful. Palate: soft on the palate as well. Develops seamlessly on the palate. A feminine Lynch Bages. Palate: assertive from the very first, unfolding to reveal a very Pauillac taste profile (cedar, graphite, cigar box) with first class tannin and excellent grip. Built to last. Not as rich and powerful as some Barons, but a very successful wine. Posted in Uncategorized on June 29, 2015 by AlexR.